You’ve probably thought that you could handle the detox process on your own and you are okay to try it by yourself at home. You know your body and your addiction more than anyone else, so this should be easy, right? Wrong. You will soon realize that things can go down the wrong, painful road fast if you are not aware of what the alcohol detox involves, what you should expect and look out for, and the help that you might require to successfully come out of the addiction. 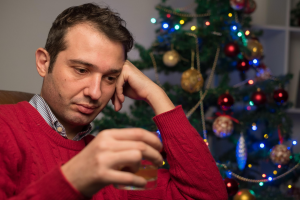 This is more so important because alcohol withdrawal symptoms can range from moderate to life-threatening and you may need to seek medical help. You may notice that you get extremely agitated and irritable. The simplest of things can have you react to them and you may not be able to control yourself. Mood swings, depression, anxiety and nightmares are also common during detox. This is known as withdrawal and it is very unpleasant and even dangerous. This will start happening 5-10 days after you stop drinking. This will be the first sign of withdrawal and will include tremors, nausea, vomiting, sweating, a rapid heartbeat and abdominal pain. During this first stage, you will also notice a loss of appetite and fatigue. This is a more severe symptom of alcohol detox and causes people to see or hear things that are not there. It is common in severe cases of alcohol withdrawal for the hallucinations to involve groups of small, similar objects moving together like falling coins or a group of insects. These hallucinations may be tactile (connected with the sense of touch), visual, or auditory. They occur 12-24 hours after your last drink. If they are present, seizures typically occur within one to two days of your last drink. Several seizures may occur over the course of one hour and thus it is advisable not to go through detox alone as you may fall and injure yourself. Increased risk factors for seizures include drinking for two decades or more, a history of head injuries, being in less than stellar health or malnourished, and having electrolyte imbalances. This is the most dangerous form of withdrawal. It occurs in 3-5% of individuals experiencing alcohol withdrawal symptoms and it can be terminal if treatment is not sought. DTs sometimes do not begin for at least a day or two after the alcohol leaves the system and they can start up without warning. It is for these reasons that it is not advisable for detoxing to be done cold turkey without the supervision of medical professionals. Delirium tremens are characterized by having a severely altered mental function, agitation, extreme confusion, delusions, and hallucinations. They cause your heart rate to skyrocket and your blood pressure to increase drastically. These can occur during and after the first few days of stopping taking alcohol. Once the physical symptoms have been put under control, your counselors can help reduce some of the very overwhelming emotional effects of withdrawal. This is because it is not advisable to mix anti-depressant medication during the first intense stages of detox. Thereafter, depression, anxiety, and potential suicidal thoughts can be managed by medications together with therapy and counseling sessions. A medical detox program is essential because a symptom can present itself and then magnify in record time. A program like this will provide a comprehensive and supportive environment during all the stages during the time you detox alcohol. It is thus advisable to consult your doctor to see whether you can stay at home throughout the process or if you will need specialized care.